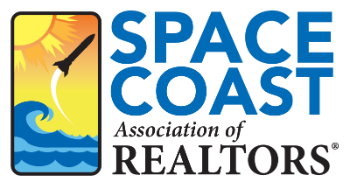 Brevard County Photo Gallery - Space Coast Association of REALTORS®. The Kennedy Space Center Visitor Complex is located in Titusville, Florida. Visitors can view exhibits and tour the John F. Kennedy Space Center. A quiet day at Fisherman's Landing in Grant-Valkaria, Florida. A sunny day at a golf course in Melbourne Beach, Florida. Birds hop along a Brevard County beach. Boats docked at Marina Park in Titusville, Florida. 2nd Light Beach is located across the street from Patrick Air Force Base in Brevard County, Florida. Dusk falls on Titusville, Florida. In the distance, you can see the Vehicle Assembly Building (VAB) at Kennedy Space Center. The VAB is the largest single-story building in the world. A warm spring day is perfect for visiting the shops in Cocoa Village, Florida. A boat floats in waters near Cocoa Village, Florida. Space View Park in Titusville, Florida holds monuments to historic space missions. The Town of Indialantic has been a bird sanctuary since 1975. This serene shot was taken in Grant-Valkaria, Florida. Here's a lovely spot to take in some fresh air in Palm Bay, Florida. This eatery in Cocoa Village is called Ossorios. President Barack Obama once dined there. Washes greet the Melbourne Beach shoreline. Turkey Creek in Palm Bay is a lovely place to linger.